Kourion was an ancient city in Cyprus, which endured from antiquity until the early middle Ages. Kourion is situated on the south shores of the island to west of Limassol city. The ruins of Kourion are popular historical attraction. The most spectacular site at Kourion is the Greco-Roman theatre. 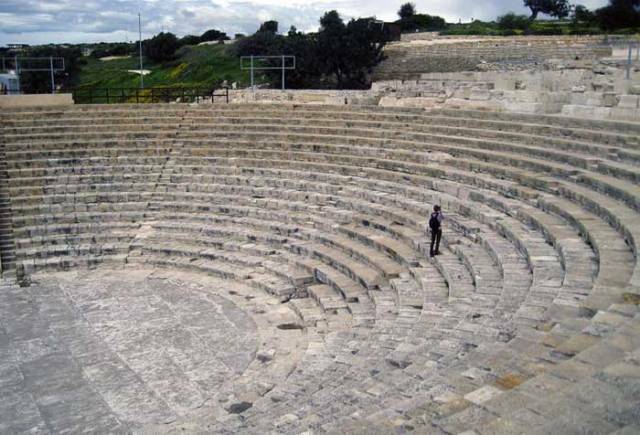 The photo shows the Ancient Amphitheatre in Kourion (Cyprus). See also: amphitheater in Rome, amphitheater in Tarragona (Spain).